Johnson: Every month we look at 100 or 200 suppliers that we're monitoring. We don't necessarily take any action. We look for warning signs. Delphi Automotive might well be the North American auto industry's version of Lazarus risen from the dead. Delphi was already bankrupt when the recession began. As the auto industry recovered, the company emerged from Chapter 11 in October 2009. During its four years in bankruptcy, Delphi dumped its brake, battery, chassis and steering operations. Now it is a much smaller company with a tighter focus on six product segments: electronics, infotainment, powertrain components, security and controls, occupant protection and climate control. On Sept. 30, Production Line Senior Writer David Sedgwick asked Sidney Johnson, Delphi's vice president for global supply management, for a progress report. An edited transcript follows. How many suppliers does Delphi have now? We have about 2,800 direct and indirect suppliers. It fluctuates. Pre-bankruptcy, we had 5,000-plus. The bulk of our supplier losses came from Delphi's [downsizing]. Some of the losses were due to the recession -- some suppliers didn't make it. And a number of suppliers chose to get out of the auto business. But the vast majority [of lost suppliers] was due to our divestitures. How many suppliers were discontinued by Delphi for lack of technology, insufficient financial resources or whatever? It's 5 to 10 percent -- less than 100 suppliers. OK, so you've got 2,800 suppliers. Is that the magic number, or would a smaller network be optimum? Based on my benchmarking, I'd say it's about 2,000 suppliers. But a segment of our supply base is truly strategic. About 500 or 600 of our suppliers make up 80 percent of our annual expenditure. We want long-term relationships with them. 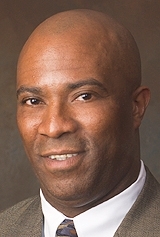 [Delphi CEO] Rodney O'Neal wants suppliers to bring us their game-changing technologies first. You don't get that when you've got 10,000 suppliers. We share our future plans with that smaller group of suppliers, so they can share their plans with us. They have a lot of capital invested. I can help them utilize their capital [by giving them larger production volumes]. How healthy are your suppliers? Are some still in the emergency ward? They are significantly better than they were in late 2008 or mid-2009. We still monitor our suppliers today in the same manner as we did then. Every month we look at 100 or 200 suppliers that we're monitoring. We don't necessarily take any action. We look for warning signs. Last year, we couldn't breathe. We were monitoring the vast majority of our suppliers. In late 2008 and 2009, credit wasn't available, and commodity prices were volatile. There were all kinds of issues to deal with. Of the suppliers that you still monitor, how many are truly in critical condition? My guys have three or four around the world that they're really watching closely. Some have credit issues. People need working capital. Are you doing anything special to help your suppliers get credit? There are some short-term things we can do to support them, like special contract terms or accelerated payments. We might make some 'progress' payments for tooling. Do you have an established procedure for this, or are you accelerating your payments on a case-by-case basis? There is no established program. If it's a critical supplier, yeah. But these are strictly one-offs. How quickly do you pay your suppliers, compared to last year? A year ago, it was five to seven days. We were in bankruptcy and had been for a significant amount of time. Most of our suppliers in North America were already getting accelerated payments [when the industry went into recession]. What are your payment terms now? We've gone back to pre-Chapter 11 payment terms. Most of our suppliers are on standard commercial terms, with payment in 45 to 60 days. Everybody is back to normal. What is your current annual purchasing budget? It's about $8.5 billion to $8.75 billion this year. Of that, our direct expenditure [for parts purchases] is $6.25 billion. Last year, we spent $5.5 billion to $6 billion [on direct and indirect purchases]. How much of your purchasing budget is spent in China? About a quarter [of Delphi's purchases] are in China, and Asia generates about 20 percent of our revenue. Most of the Chinese components that we buy are consumed in Asia. I want to buy components where I consume them. There are some commodities that you can only get in Asia -- like electronics. What are Chinese suppliers weakest at? They are still "build to print" companies. They don't have much design capability. And we are still light-years ahead of them in lean manufacturing and quality. They've made progress but still have a long way to go. Our local team in China spends a lot of time on supplier development to help them get better. Let's talk about raw materials. What is the price trend for raw materials like steel, copper, plastic resin? They're all up. And they have been for the last several months. Which commodity has the most volatile price? Do you allow suppliers to adjust prices to reflect fluctuating raw material costs? We have some standard contract provisions for copper and aluminum. Not so much for steel. You have a lot of varieties of steel that you have to deal with. Do you make any bulk purchases of raw materials for resale to your suppliers? We have a small resale program where we buy some steel, some resins, a little bit of aluminum. It's a small program, a lot smaller than we did 10 years ago. It's worth a couple of hundred million a year. Are there any problems that wake you up at 3 a.m.? If you'd asked me that a year ago, it would have been: "Are we still going to be here?" And that was true for everybody. Now I wake up asking myself: How will I get the things done that I've wanted to do for the last five years, now that I have the tools to do them? I'm actually excited about tomorrow.